The city of London gallery in the London Museum has always been a part of this fantastic museum and I remember it from visiting as a child. However in recent years the museum has gone through some major changes and one of these changes are the addition of a new extension which now holds the City collection. 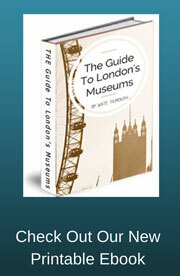 The city Gallery can be found on the lower floor alongside the Inspiring London Gallery. 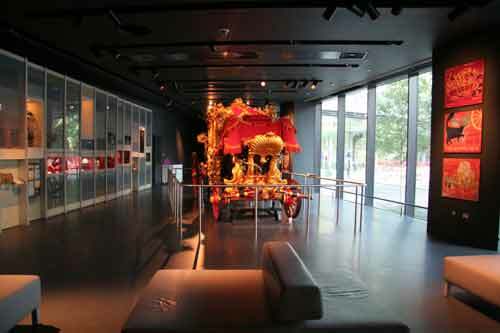 The main centre piece of the gallery is of course the magnificent gold Lord Mayor of London's Gold Coach. Which can now been seen all year long through a large glass window to the side of the gallery. 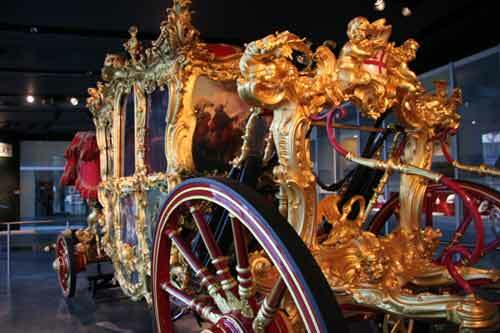 The coach is still in use today and is brought out every November for the Lord Mayors Show and is driven through the streets with the rest of the precession. The coach is stunning and looks as if it was made just yesterday. It was in fact made in 1757 which makes it over 250 years old. I never cease to wonder at it and can image that it must be a bit of a bumpy ride for the mayor as its construction does look rather fragile. The rest of the city of London gallery is given over to the history of the city itself and all its traditions and the people who live there. From Ancient traditions to our modern vibrant city full of state of the art architecture and a thriving bustling business heart. 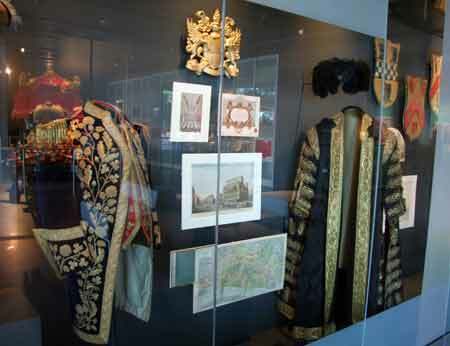 The objects on display in the gallery range from the old traditional items such as a beautiful coachman's coat which is covered in gold braiding and a badge from the sheriff of London. More up to date is an electronic item which belonged to the Lord Mayor in 2008 and I suppose is designed to show that even thought the cities traditions are steeped in history it is still a very modern city, which moves with the times. The city gallery is easily missed as it is tucked alongside the more modern galleries. It is a much quieter area which may not seem at first look to be of much interest, but you should take a moment of two to explore this side gallery. Even if it is just to take a breather and reflect on the great city you find yourself in.